Canada now has a working group dedicated to figuring out bee mortality. On July 9, environmental group Sierra Club Canada shared a press release announcing the group’s formation, which is made up of beekeepers, farmers, scientists and others in agri-business. The press release mentions the recent loss of 27 million bees near Elwood, Ont. In the release, Sierra Club Canada’s executive director John Bennett says, “This working group is the first real recognition of the impact of neonictinoid on bees,” referring to a pesticide still used in Canada, though banned by the European Union. Both Ontario and New Brunswick have seen a decline in their bee populations, as have Alberta, Saskatchewan and Manitoba – the provinces responsible for 80 percent of the country’s honey production. Both honeybees and native bumblebee populations have been affected. Hives have been found near void of working bees, leaving only the queen and immature bees. Though bees are social creatures that stay near their hives – the workers’ bodies are not found near the homes. Predators of abandoned hives, like hive beetles and wax moths, will not even enter the affected hives. This strange phenomenon has been dubbed Colony Collapse Disorder (CCD). Since 2006, different theories have circulated regarding the cause of CCD. They range from viruses, such as the Israeli acute paralysis virus and the nosema virus, to cell phones and even Osama bin Laden (yup). Now, neonictinoid pesticides are being looked at. Used for corn and soybeans, the pesticide was authorized for commercial use by Health Canada’s Pest Management Regulatory Agency in 2004. 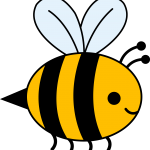 It replaced lindane, which was taken off the Canadian market after it harmed bees, birds, and other wildlife. Research published in the online journal Nature Communications says neonictinoid blocks a part of the bee brain, disabling them from linking floral scents to nectar. This research contributed to the EU ban, which upset neonictinoid companies Syngenta and Bayer. In a company statement, Syngenta disputed research findings: “The proposal is based on poor science and ignores a wealth of evidence from the field that these pesticides do not damage the health of bees.” Both companies warn the ban will cost billions of euros. And now, we’ll get to see what Canada’s new working group determines in regards to this controversial pesticide.